UCSC physicists to answer questions at special screening of "Particle Fever"
Home / 2014 / February / UCSC physicists to answer questions at special screening of "Particle Fever"
Nickelodeon Theatres is teaming up with the Santa Cruz Institute for Particle Physics (SCIPP) at UCSC for a special Q&A discussion on opening night of the award-winning documentary "Particle Fever" on Friday, March 14, at 7 p.m. The film details the biggest and most expensive experiment in history: to activate the Large Hadron Collider at the CERN facility in Switzerland. Billions of dollars and countless hours have been poured into this international undertaking, in hopes of discovering some of the most basic elements that make up the universe. Most notably, the Higgs boson particle was detected at the collider in 2012. The Nickelodeon is celebrating the limited release of this film on opening night--Friday, March 14th--with a special Q&A after the 7 p.m. screening. This discussion features a panel made up of four SCIPP physicists: Howard Haber, Jason Nielsen, Stefano Profumo, and Alexander Grillo. UCSC physicists at SCIPP have been intricately involved with research and development at CERN for 20 years. SCIPP was one of the initial U.S. institutions to support U.S. participation in the Large Hadron Collider experiments at CERN due to the great potential for exciting research. They joined the ATLAS experiment in 1994. Although SCIPP is not directly in the film, ATLAS is prominently featured throughout the documentary. SCIPP physicists, staff, and students conducted much of the R&D required to develop novel silicon sensors required for ATLAS and were in charge of the system electronics engineering of the 6-million-channel silicon-microstrip tracker. The group's principal physics interest is in searches for physics beyond the standard model, especially from theories with supersymmetry, and searches for the Higgs boson. Tickets and details are available through www.thenick.com (currently under the COMING SOON tab). Imagine being able to watch as Edison turned on the first light bulb, or as Franklin received his first jolt of electricity. For the first time, a film gives audiences a front row seat to a significant and inspiring scientific breakthrough as it happens. 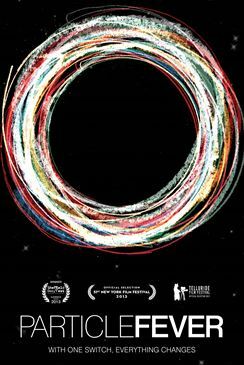 "Particle Fever" is a new documentary that follows six brilliant scientists during the launch of the Large Hadron Collider at the CERN facility in Switzerland, marking the start-up of the biggest and most expensive experiment in the history of the planet, pushing the edge of human innovation. Directed by Mark Levinson, a physicist turned filmmaker, and masterfully edited by Walter Murch ("Apocalypse Now," "The English Patient"), "Particle Fever" is a celebration of discovery, revealing the very human stories behind this epic machine.